The Workshop on Data Collection for Long-term Investment took place on 10 May 2017 as part of the G20/OECD Task Force on Institutional Investors and Long-term Financing. The LTIC Steering Committee meeting took place on 23 February 2017 at the KFW headquarters in Frankfurt and was later followed by the D20 conference. LTIC Co-President Werner Hoyer (EIB) chaired the meeting, supported by LTIC Co-President Hu Huaibang (CDB) and LTIC Secretary-General Marjut Santoni (EIB). Members from BNDES, CDB, CDC, CDG, CDP, DBJ, EIB, ICO, JBIC, KFW, LTIIA, TSKB and VEB attended the meeting. Following the LTIC-SteerCo, the Heads of G20 Financial Institutions with a Development or Public Mandate (D20) agreed on the following joint “D20 Statement”. LTIC Steering Committee (SC) meeting at the KfW Bankgruppe headquarters in Frankfurt later followed by the D20 conference. 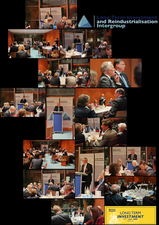 On 7 February, 2017, the Long-term investment and reindustrialisation Intergroup of the European Parliament together with the European Financial Services Round Table (EFR) held a dinner debate on EU prudential regulation and incentives towards green investments. On Wednesday 23 November 2016 the European Parliament Intergroup on Long-Term Investment and Reindustrialisation met in Strasbourg. Under the chair of the Member of the European Parliament (MEP) Dominique Riquet (FR) and Vice-President of the European Parliament Adina-Ioana Vălean, EFSI was discussed for 1 ½ hours. Ca. 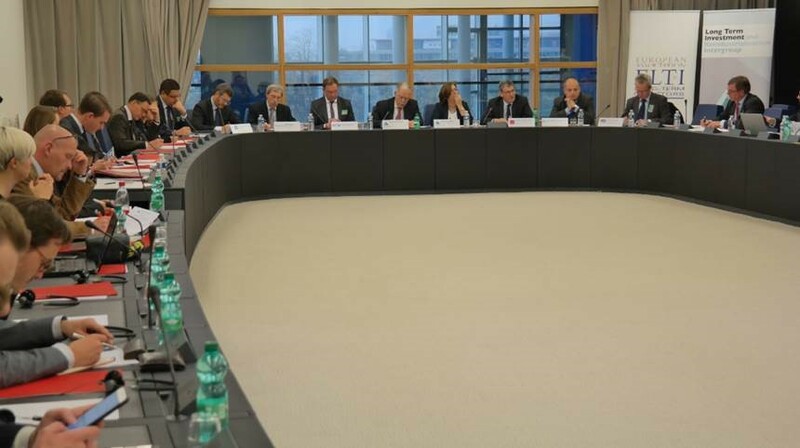 50 persons of which 9 were MEPs – one of them being EFSI co-rapporteur José-Manuel Fernandes, and many assistants to MEPs (including to the European Parliament’s President Martin Schultz) attended the meeting. Based on the three ELTI position papers, the main points of the discussion were: The European Fund for Strategic Investment (EFSI), ART. 38 CPR – European Fund for Strategic Investments (EFSI) & European Structural and Investment Funds (ESI) and the External Investment Plan (EIP). OECD/GIH/Chinese Ministry of Finance Forum on Long-term Infrastructure Investment, 22 July 2016, Chengdu, China, back to back with the G20 Finance Ministers and Central Bank Governors Meeting. High-Level Seminar on Financing of Long-Term Quality Investment and Institutional Investors, sponsored by the Japanese government will be organised in Asia during 2016. A one-day event for networking, sharing communication best practices and discussing about communication challenges related to investment in EU countries. The high-level conference "Communicating investment at EU, national, regional and local level" took place in Brussels on July 1st 2016. It was conceived as a one-day event for networking, sharing communication best practises and discussing communication challenges related to investment in EU countries. 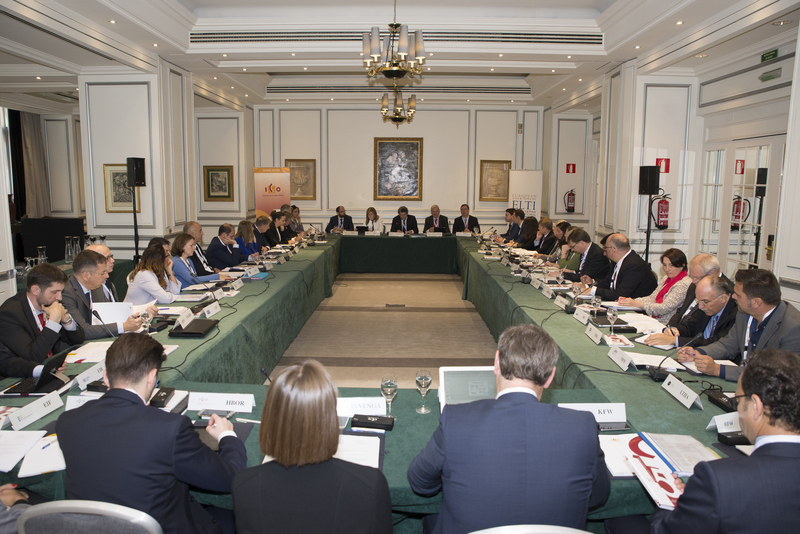 The event brought together communication experts active in investment promotion and communication from across the EU, both from private and public sectors. Leaders of EU structural funds managing authorities were also present as well as representatives of the EU institutions and the European Investment Bank. Together they had the opportunity of brainstorming and raising awareness about communication activities related to EU funds and the Investment Plan for Europe. Case studies Case studies from Bulgaria, Extremadura, Flanders and Vienna as well as a moderated brainstorming session with conference participants were presented and a panel debate took place in the morning while in the afternoon participants were invited to think about communication challenges and identify topics to be discussed in small groups. Hosted by the London Stock Exchange, the inaugural India Forum of the Green Infrastructure Investment Coalition (GIIC) brought together European institutional investors, Indian green infrastructure developers and financiers, development banks and perspectives from both governments. The Forum allowed investors to discover the abundant investment grade opportunities in India generated by the low-carbon transition (one that will require investments of approximately USD 1-2tr per year globally), whilst giving project developers and financiers a chance to discuss their project pipelines. Participants also examined and addressed barriers to capital flows in India and explored available solutions.